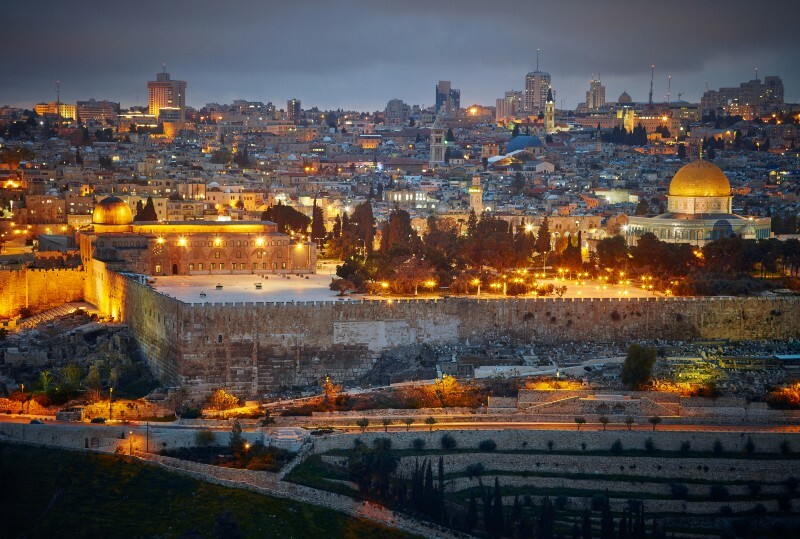 Today in Israel we celebrate “Yom Yerushalayim”, or as translated into English, “Jerusalem Day.” This marks the country of Israel regaining control over its capital city, Jerusalem, in June of 1967. In honor of this momentous day in Jerusalem’s history, we would like to highlight five startups you need to know about, founded in the capital of the Startup Nation. OrCam was founded by the founders of Mobileye, another top-notch-technology startup that emerged from Jerusalem. Prof. Amnon Shashua and Ziv Aviram started OrCam with the mission to change the way visually impaired and blind people see things (pun intended). They developed smart glasses with a camera that reads what it sees, out loud to the user. Yup. You just need to make a small gesture of pointing your finger at something, and their system will most likely recognize it, or at least analyze and learn it. With these glasses, the visually impaired can read newspapers, recognize products at a supermarket, and identify the person in front of them. The first 100 units were sold within 24 hours, as were the other batches of 500 and 600 products, even though the price per unit is not a small sum, at $2,500. OrCam raised $15M from Intel Capital, and is aiming to change the world of the blind for good. OrCam’s next project is called MyMe, which is the first wearable AI that you can simply clip onto your shirt, aimed for the everyday consumer. Overall, MyMe will video, voice-record, and analyze everything you do during the day, so you can manage it later from dedicated smartphone apps. You could get details about each person you meet or the nutritional values of the food you eat. That’s a pretty amazing future, just ahead of us. Meet Lightricks, the next Adobe. Well, not exactly, but after making two best-selling photo editing apps, you can say they’re going in the right direction. The company was founded by 5 people, and 4 of them happen to be computer graphics geniuses, who together created two successful apps called Facetune and Enlight. Facetune is a paid app that helps you fix those bad selfies you took. It’s an easy-to-use, powerful tool that lets you adjust and fix your portrait. Fix your hair, emphasize your eyes, whiten your teeth or get rid of wrinkles and blemishes, or use other various tools. Edit your photo to look as good as you want. Facetune reached #1 top-selling app in 120 countries, with over 4.5 million downloads. Even the Kardashians have admitted to using this app before posting photos. To be honest most girls we know use it! Get the app for $3.99, to your iPhone or Android. Enlight is not the app for the common users like FaceTune, but it’s an amazing photo editor. It’s not as professional as Photoshop, of course, but it lets you add filters, stylized text, adjust color, contrast and brightness, crop and reshape, and even turn your still photo into a painting. Enlight also reached #1 paid app in 120 countries and has more than 1 million downloads. Last August, after proving its capabilities and revenues, Lightricks raised $10M from Carmel Ventures. We see a great future for this company, and hope they’ll surprise us with more photo-editing apps in the future. Humaneyes’ founders, professors and researchers from the Hebrew University, have been around for the past 16 years researching and developing 2D and 3D graphics. They have over 70 patents and have collaborated with Kodak, HP and more. They use their 3D technologies for video ads, and launched SnapilyPro to supply lenticular 3D printing (printing images with an illusion of depth and interactivity in viewing from various angles) service for designers. Now, if all of the above hasn’t amazed you yet, that’s because you still haven’t heard of their latest product, Vuze Camera. It’s the world’s first consumer virtual reality 360 3D camera, that costs just about $800, and is joined by a studio software where you can edit your videos and produce VR movies easily. It’s a UFO shaped camera, with 8 full HD cameras: 2 on each side, and each one with the capability to capture a video in 360 degrees and viewed in 4K resolution. If you’re interested, you can pre-order the camera and kit for $799. That’s not cheap, but its abilities might be worth it. Vuze Camera will be ready for shipping this October, and we hope that this camera by Humaneyes will become the next trendy gadget. With 40 employees in its Headquarters in Jerusalem, Hometalk is now one the world’s leading DIY home & garden communities. If you want to get new ideas in home design, repairing, cleaning, or just building stuff, this must the place for you. Find out how to build your “spiral herb garden” or a “rolling storage cart,” or tons of other cool obscure uses for things you may already have around the house. Hometalk is super-active on social media and made its way to television shows, which helped the website grow rapidly. They currently have 1.8 million registered members, 6 million monthly views, and just recently reached the 100,000th user-generated DIY tutorial. Another huge hit that started in Jerusalem. Ran Poliakine, the founder of Powermat, has decided to change the way we type. Instead of using the old regular keyboard, use Tap Strap, a wearable Bluetooth keyboard that turns everything you touch into a typing surface. Yup, it’s not that easy to use and requires some practice (but rest assured, it comes with an app to teach you within an hour tops how to use it) but the results are 99% accurate and give you the freedom of not having to use a computer or phone keyboard. Instead you can send a text message just by tapping on the table or your legs. “Tap” hopes that typing is only the beginning. They wish their product will be used for producing music, playing games, and integrating with VR products like Hololens. The wearable technology market will likely surpass the $30 billion by 2020, and we can’t wait to see if Tap will be there to grab a big chunk of it. Celebrate Jerusalem today! Check these all out for yourselves and spread the word on the coolest Jerusalem-based creations. Originally posted on Medium By Startup Israel, an initiative of GKI Group.